This study sought to evaluate the performance of the neutrophil:lymphocyte ratio (NLCR) using cutoff values of 9, 10, 11, and 12, as an independent biomarker for sepsis. To date, no such biomarker has been identified. The NLCR has been studied as a biomarker, but only in terms of the cutoff value of 10; this study hypothesized that a different cutoff value would demonstrate better clinical performance. This retrospective study evaluated 146 subjects who presented with two or more symptoms of systemic inflammatory response syndrome (SIRS) and were not otherwise immunocompromised. Seventy-nine subjects were septic, based on Sepsis-2 criteria (SIRS with positive blood cultures), and the remaining sixty-seven were not sepstic (SIRS with negative blood cultures). The median NLCR was calculated for each group and evaluated in terms of sensitivity, specificity, positive and negative predictive values (PPV and NPV), and positive and negative likelihood ratios (+LR and –LR) for each cutoff value. The median NLCR was significantly higher in the septic group (15.2) than the non-septic group (9.9) (p <0.01). As the cutoff value increased, the corresponding specificity also increased (47-8% - 61.2%), but the sensitivity and NPV decreased. The PPV was virtually unchanged between cutoff values (64.5% - 65.4%). The sensitivity for each cutoff value was below 82% (63.6% - 81.0%) and no cutoff demonstrated a specificity value greater than 62%. Additionally, the +LR for ranged between 1.55 and 1.64 and the –LR values ranged between 0.40 and 0.59. As such, this study showed that the NLCR is not an ideal independent biomarker for the identification of sepsis. 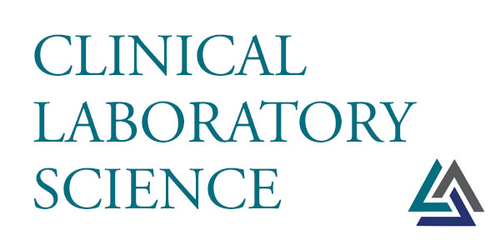 The use of the NLCR as an independent biomarker, as hypothesized in this study, would result in under-diagnosis of septic patients and over-usage of antibiotic therapy in SIRS patients. You are going to email the following Using the Neutrophil: Lymphocyte Ratio as a Biomarker for Sepsis: Which Cutoff is Best?